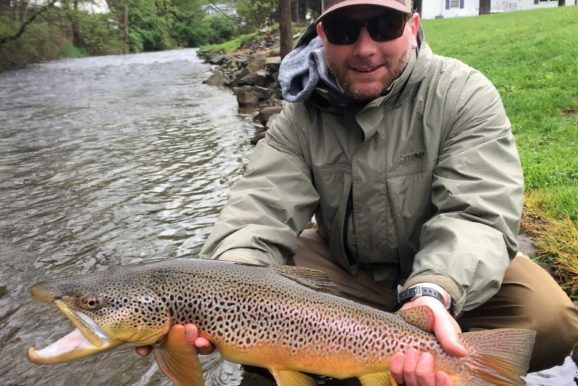 Landing large trout on a fly rod is a task that can take awhile to learn. Every fish will fight a little differently, and every section of river presents different obstacles to conquer. High water conditions can also complicate the process. The good news. 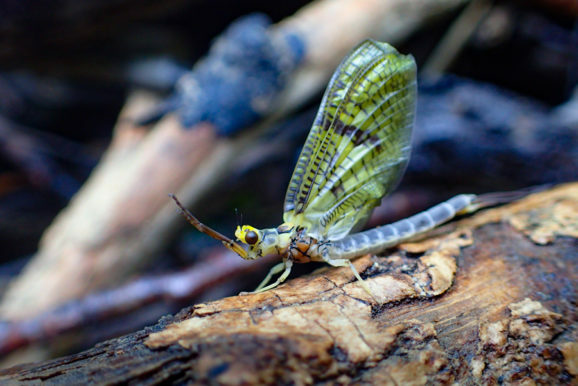 Wary, large trout do not usually make as much effort to stay hidden during higher water. High water conditions present anglers a great opportunity to catch a true fish of a lifetime while off-guard. The bad news. Fighting large fish is always a challenge. Landing a big fish in high water can be even more challenging. The larger the volume of water, the harder the task. In general, anglers will lose a higher percentage of the fish they hook in high water. Use the following 3 tips to help swing the odds in your favor, and put more large fish in the net. Stay Downstream of the Fish. It’s not always possible, or practical, but being downstream of the fish during the fight usually works better. 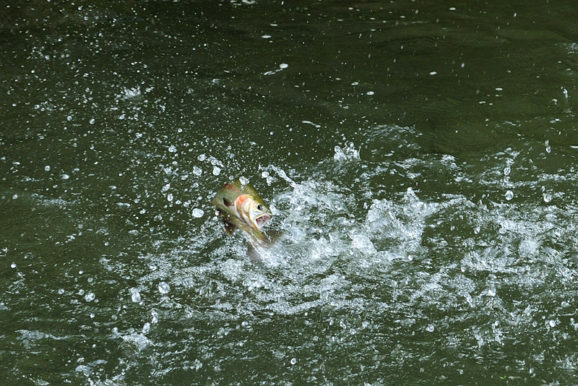 Fighting fish from a downstream position helps create a scenario where the angler is pulling with the current requiring the fish to fight against it. Take Advantage of Slower Water. The faster or stronger the current a large fish is swimming in, the harder it will be for an angler to maintain control. Try to persuade fish into an area of the river where there is less current. Taking advantage of slower water helps an angler control a large fish, and bring him to the net much more efficiently. Consider Rod Angle. Lowering your rod to the side can allow an angler to increase pressure when trying to move a fish in a desired direction. Keeping your rod up will allow the rod to absorb pressure, and applies less pressure directly toward the fish while lifting it to the net. Experienced anglers know which way to hold a rod while fighting a fish, and when. From fighting big fish day in and day out, our guides are well versed in the skills required to put large fish in the net. By working on the skills necessary to land big fish proactively, an angler will be able to capitalize the next time that fish of a lifetime presents an opportunity. 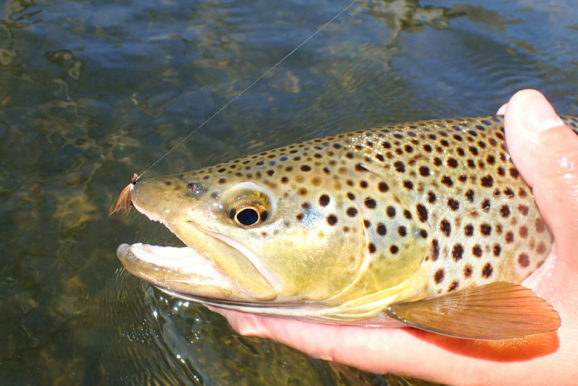 If you are due for a day on the water, the fishing conditions this summer have been excellent for trout fishing. Don’t miss out!